Last weekend I participated in Toronto’s, City of Craft. It was a tonne of fun! people, and past customers came by to say hello and wish everyone happy holidays. and fill a sketch book full of inspiration, new design ideas for the coming new year and revisit some past inspiration and ideas. I’ve been gradually compiling a collection of stones. No help from Etsy’s new ‘circle’ activity feed feature and my friend Andes!! Ok, ok I am weak. 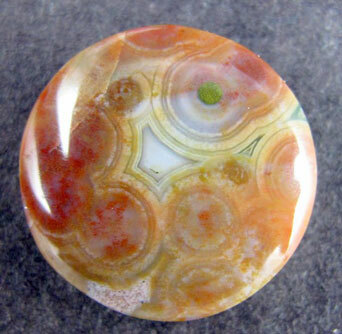 However, I do intend to make a piece using every single cabochon purchased! It all started with the Agate Works and an Ocean Jasper cab that I immediately visualized as a Jellyfish. It’s gorgeous, bright and translucent in person. Then I had to make more jellyfish incorporating cabochons! Which made me start seeing Paisley. 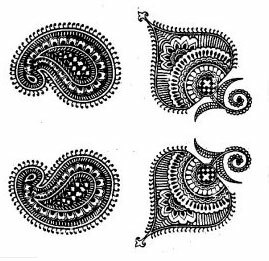 Giant paisley rings, maybe pendants? 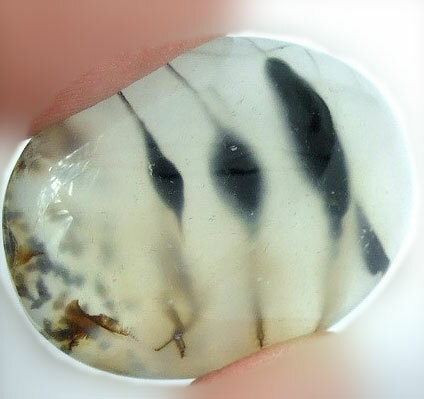 Creative Cabs cuts and sells some beautiful stones. 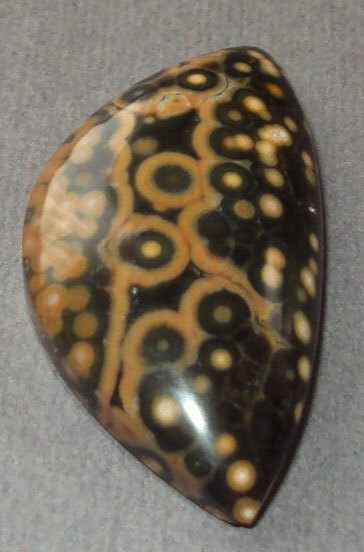 Beyond Ocean Jasper, which I love! I started looking for anything orbicular and squiggly. 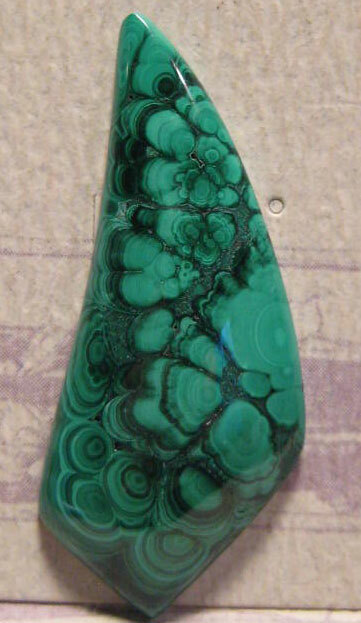 Like this beautiful malachite cab. 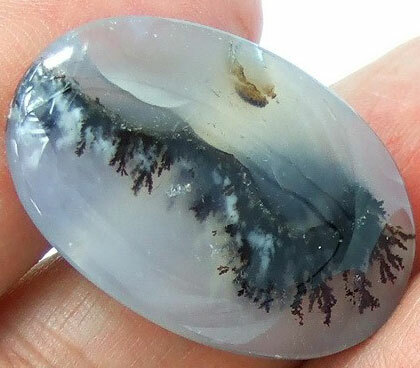 Everyday it seems the Agate Works posts a new stone to covet. 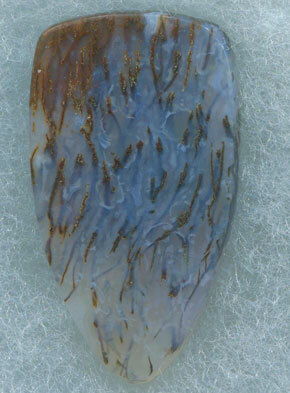 I really dig Plume agates, and Dendritic agates. 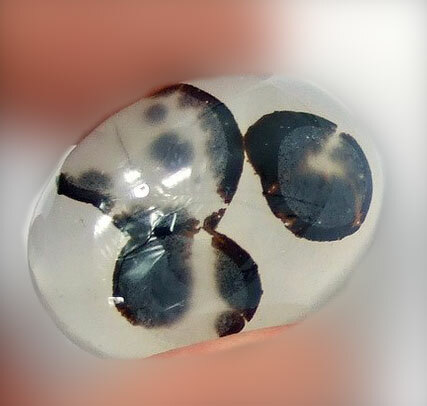 Agate is a Silicon Dioxide, a variety of Chalcedony which is a member of the Quartz family. It is scientifically classified as either a cryptocystalline or a microcrystalline variety of Quartz. 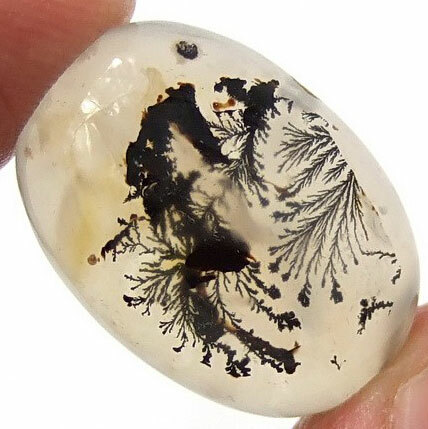 A dendrite is a mineral crystallizing in another mineral in form of a branching, tree-like pattern. These beautiful tree-like and fern patterns have formed due to Manganese and Iron ions. The term dendrite comes from the Greek ‘dendron’, meaning “tree”. 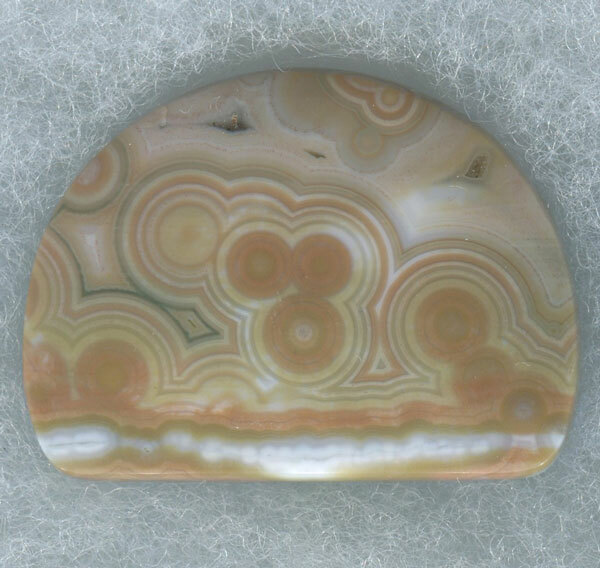 Priday or Plume Agate is a very rare agate found years ago on the Priday ranch outside Madras Oregon. 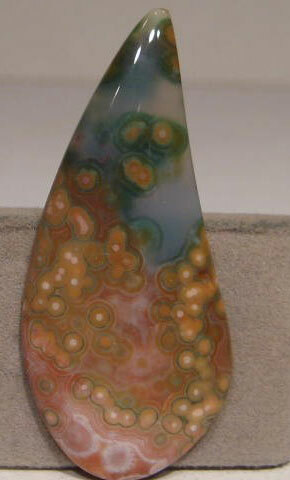 The Plume agate made past ideas float to the top again. I’ve been playing with the idea of ‘capturing’ specimen in glass. Similar to my Medusae pendants only in Polyp, larval, and seedling stage. More Ocean Jasper snuck in though. The one above is from Creative Cabs, and the one below is from Sparkle Quest. 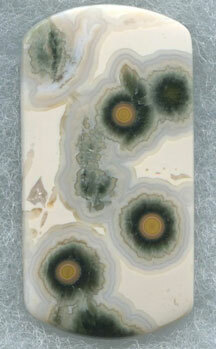 This one is from one of my fav suppliers, The Agate Works! Over the summer and autumn months I’ve been working on murrini. Murrini that represent specimen found in water droplets, microscopic organisms. Murrini, Murrine, Murrhine, murrine, is glass cane/rod made by building up layers of colored glass, or by fusing together preformed components which are then melted together creating patterns and pictures that are then pulled (like taffy to make the cane smaller in diameter). The end result is an image within the cross section of the glass cane. When the patterned cane is cooled it is cut into slices. 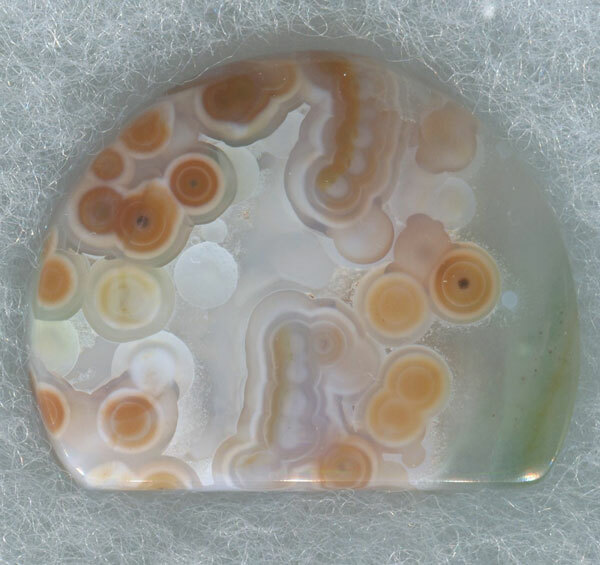 This morning I came upon these dendritic agate specimen from Gem Resource and had to have them! They’re just perfect for what I have in mind!! I wish I wasn’t sick! But then I probably would have missed out on some of these amazing cabs! Make sure to check out all the Etsy cab sellers mentioned above. They have great deals on incredibly beautiful stones! This link was sent to me from Gem Resource over in Bangkok! Previous Post December Talk About: Where do you aspire to be in 5 years? Next Post gluten free christmakwanzakah dinner!